EY's Ops Chain Public Edition (PE) purports to allow companies to securely transact on a public network based on the Ethereum, open-source blockchain platform. Currently, the public blockchain is only a prototype, EY said. The Ops Chain Public Edition was created by EY's blockchain labs in London and Paris and supports both payment crypto tokens and unique product and services tokens that are similar to the Ethereum ERC-20 and the ERC-721 token. Like the internet, public blockchains are shared by all users and don't require special tools or access to join in. Public blockchains are best known for the creation and exchange of digital currencies, such as Ether and bitcoin. In a public blockchain, anyone can see the data transmitted. Private/public key cryptography ensures that the identity of a user remains unknown to others; only their verified transactions are visible, and no one owns the public blockchain. A consensus voting system among users verifies whether new transactions can be added to the immutable ledger. 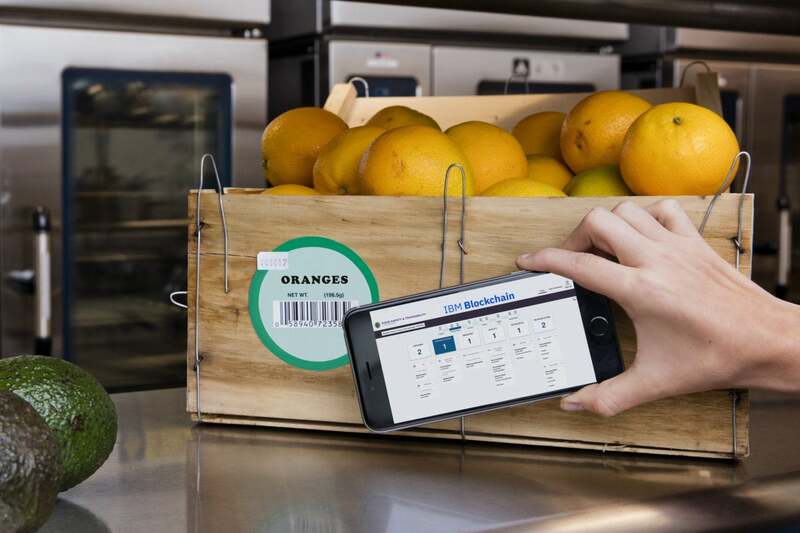 After piloting its own private blockchain-based supply chain tracking system, Walmart has told its suppliers to get their product data into the network so they can begin tracking produce from farm to store. The deadline: September 2019. "The internet/intranet analogy is apt in this context. Initially, there was the view that enterprise transactions would never flow over public internet connections; that clearly changed over time," Forrester Research principal analyst Martha Bennett said via email. "We can see something similar happen with regard to public and private blockchains, but not for a long while yet." 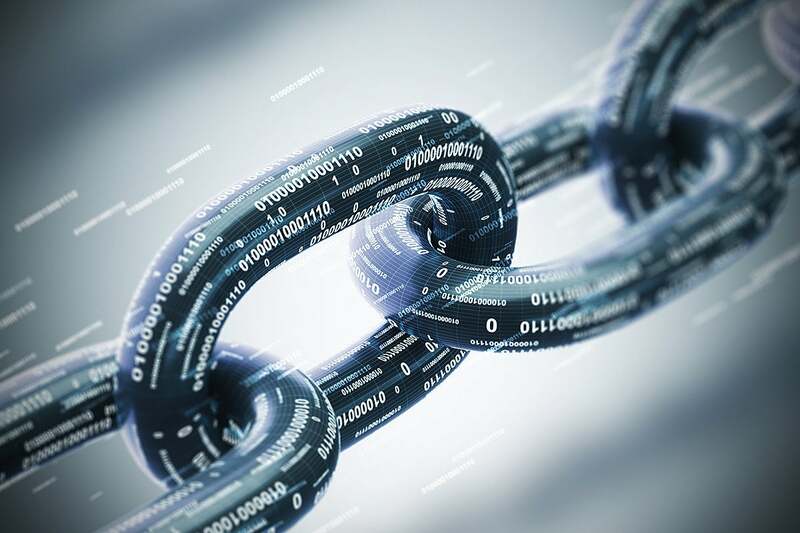 Because of their immutability – blockchains are a write-once, append-many online database – they can be used as audit trails for both in-house and regulatory transactional oversight. While there are any number of potential uses for a distributed public ledger for businesses, supply chain management would be one of the more prominent ones, according to Paul Brody, EY Global Innovation Leader for Blockchain Public blockchains. "Companies are engaged in exchanges – products or service tokens that represent assets in the real world are exchanged for money tokens. That's a typical supply chain transaction," Brody said via email. "For companies that want end-to-end product traceability for their supply chain, they cannot use public blockchains because their competition could see what they are buying – and how much they are paying – if they did these transactions in public." To address the issue of public visibility, EY has added a privacy feature through the first-time use of a zero-knowledge proof (ZKP) cryptography technology on the Ethereum blockchain. ZKP is a way of checking the content of a message – in this case, an entry on electronic distributed ledger – without needing to reveal it in clear text. "It's in use with some of the privacy-focused cryptocurrency, but it's not an established technology at this stage," Bennett said. ZKPs are a form of encryption that allows you to submit a proof that funds or assets exist and can be transferred without having to show who has the funds, how much you have, or to whom they are going, Brody explained. "This means the consensus algorithm can still function correctly and validate the transaction overall," he said. The ZKP technology will also dramatically lower barriers to blockchain adoption, according to EY. In a private blockchain model, Brody explained, a company needs to convince a business partner to join their particular network or industry consortium, "which involves significant cost to set up a private network and perform system integration...," Brody said. "On a public blockchain, the network is already in place and one integration could work for all business parties involved – no need to create separate networks for each industry or region in order to manage privacy," he added. EY is eying a production version of its Ops Chain PE and the EY Blockchain Private Transaction Monitor sometime in 2019. Forrester's Bennett, however, is wary that ZKP technology could accomplish the privacy that a public business blockchain would require; she has spoken with cryptographers, she said, and depending on which one you speak to, some say the technology is sufficiently proven, others say it is not. "Whatever is the case, it's a computationally intensive technology, and hence currently limited in how far it can scale," Bennett said. "So yes, there's potential for the future, but for now, we're not going to see enterprise systems using ZKPs over public blockchains. And certainly not over Ethereum: until Ethereum's on-scale issues have been resolved, it's not realistic to envisage it as part of an operational system for enterprise use." Earlier this year, the Ethereum Foundation reached out to the developer community to help it fix the innate issue of public blockchains: their inability for processing capacity to effectively scale. While requiring all nodes (servers) to process each transaction makes blockchain natively resilient to cyberattacks – as hundreds or thousands of nodes would have to be hacked to gain control of the network – it also slows transaction processing and, ultimately, its scalability. So far, Ethereum is exploring two possible fixes. 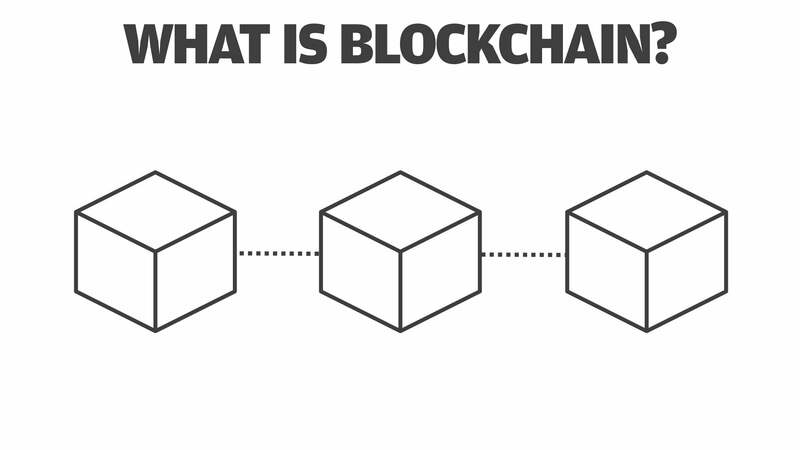 The first, "sharding," would require a small percentage of nodes to see and process every transaction, allowing many more transactions to be processed in parallel at the same time; sharding isn't expected to diminish the native security of a blockchain because it maintains most of the desired decentralization and security properties of a blockchain. A second solution involves creating data-link layers or "layer 2" protocols that send most transactions off-chain and only interact with the underlying blockchain in order to enter and exit from the layer-2 system, as well as in the case of attacks. Layer 2 protocols transfer data between nodes within a LAN or an adjacent WAN. Supply chains are already a fast-emerging market for private blockchains. IBM has penned partnership deals with Maersk and Walmart, among others, to use its cloud-based blockchain-based supply chain. SAP has also launched blockchain-based supply chain proofs-of-concept. 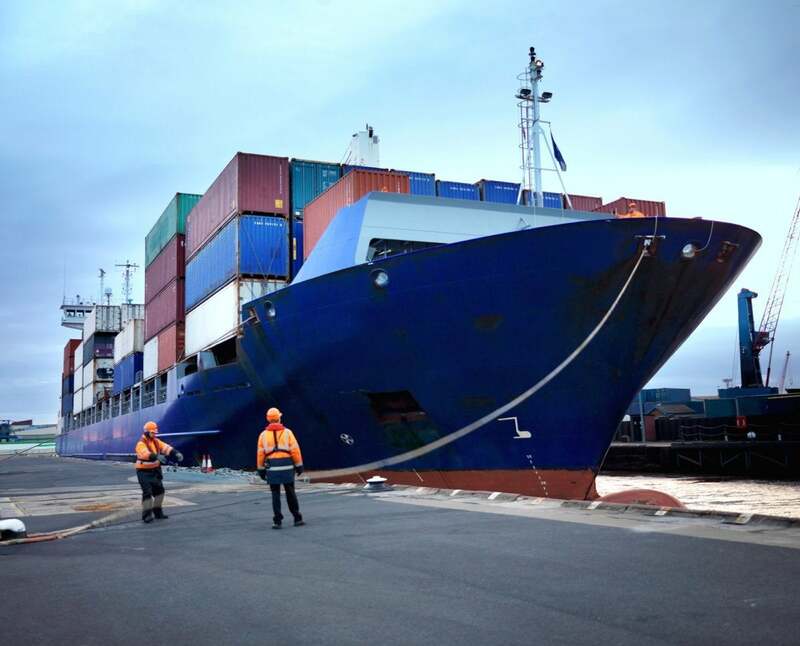 Shipping giant Maersk is piloting an IBM-powered blockchain for tracking cargo shipments around the world. De Beers and other jewelry industry giants also created private blockchains to verify the origins of gems. James Wester, IDC's director for Worldwide Blockchain Strategies, said the ability to ensure privacy while retaining the security and resilience of public blockchains is an important consideration. "It offers an opportunity for enterprises to begin building real-world solutions on public blockchains and is an important step in the evolution of the technology," Wester said in a statement. Unlike private blockchains, public blockchains are rarely used for anything other than the transfer of cryptocurrency or cross-border fiat money transactions. "We believe the network effects of sharing a common blockchain are very powerful," Brody said. "Companies could transact with all their business partners on a single network." A private blockchain, in contrast, means the need for a different one for each business case, Brody explained. Imagine a world, for example, where instead of using a single email platform to message business partners, banks and colleagues, you instead needed a different email protocol for each one. "That's what private blockchains are like – little islands of incompatible information," Brody said. "On a public blockchain, the network is already in place and one integration could work for all business parties involved – no need to create separate networks for each industry or region in order to manage privacy."